The City of Light is being renovated with sustainability and its residents in mind. 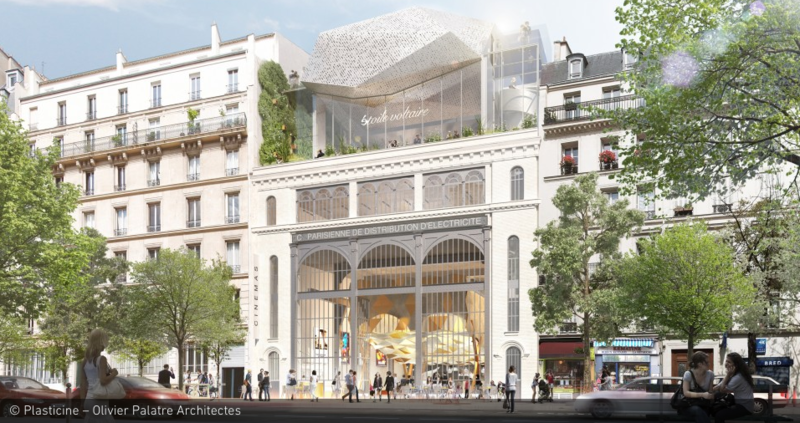 You may have heard about urban planning projects such as Le Grand Paris, or seen the new Canopée des Halles -- the huge beige-colored "roof" that was unveiled recently. However, Anne Hildago, the mayor of Paris, and many ambitious architects and urban planners have much more in store for our beloved city in the years to come. "Le Grand Paris" was launched by Nicolas Sarkozy in 2007 with the aim of tearing down the périphérique that separates Paris from its suburbs and creating a Grand Paris Express train line, all in the hope of unifying Paris and its suburbs. His plan has been under a lot of fire from all fronts since it was first presented, and the only thing that will be making it out of the project alive is the Express line. 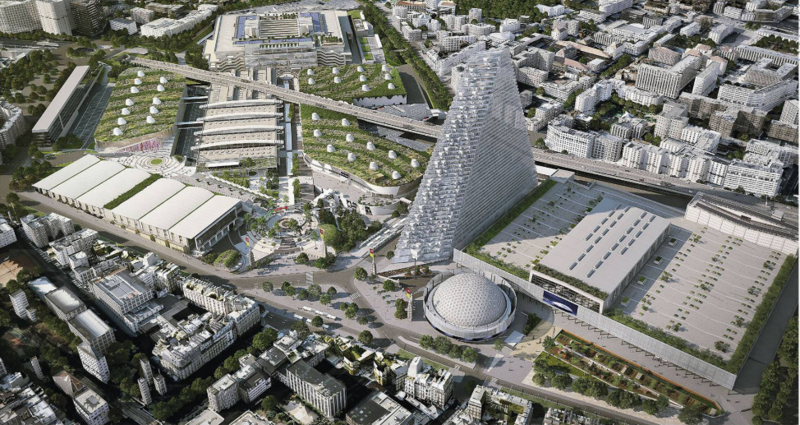 Since then, many projects have been popping up in hopes to "Reinvent Paris". That is the name of Hildago's main project, which began in November 2014, and started with a massive urban planning and architecture contest. This project has inspired many architecture and urban planning agencies to take initiative and now many other independent projects are taking place around the city as well. To describe the idea behind her project, Hildago explains on the project's home page: "A city like Paris must be capable of reinventing itself all the time, to face the numerous challenges it faces. Regarding housing environment in particular, and on all matters related to density, diversity, energy or resiliency, it is necessary today to find new ways to work collectively, which will shape the metropolis of the future." 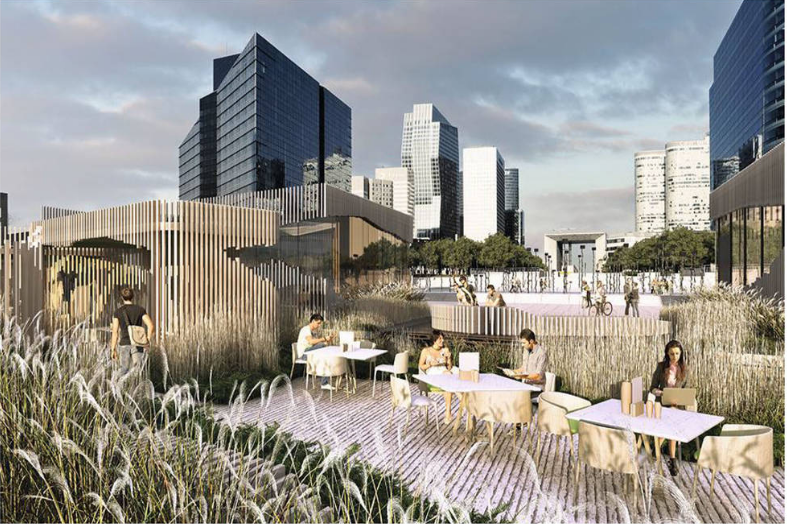 La Defense with the Oxygen project (Stéphane Malka, architect): the goal here is to turn what is now only a grey, far away corporate business-man land into a green space for rest and relaxation amongst the towers, and give it some life. Due in 2017. Paris XVIII at 183 Rue Ordener (Hubert & Roy) with Tranches de vie (slices of life) aims to transform vacant industrial buildings into a residential community-based space to comfort the livelihood of that neighborhood. Undergoing. Paris XV and the Triangular Tower at Parc des Expositions (Herzog & De Meuron): this impressive tower is going to incorporate apartments, offices, stores and a hotel. This was long fought against because of its location and size but has now been approved. Due in 2020. Paris XI at the substation Voltaire (Olivier Palatre Architects/Atelier Roberta, landscapers): this old electricity station was built between 1900 and 1945 is part of Paris’ historical heritage. This bold team is turning it into a cinema, for qualitative and independent films. No set date as of now. Paris XIX at Ourcq-Jaurès with La Ferme du Rail: located on the city's Petite Ceinture and as well as on the Ourcq Canal, this very green project is planning to occupy some of the wasted space of the old train tracks with a planted pathway for tourists, and communal and shared gardens and habitation near the canal. Paris XIII at Gare Masséna with Réalimenter Masséna (Lina Ghotmeh/DGT Architects and Engie Inéo): this abandoned train station built in 1863 will be turned into the center of the developing neighborhood, and will be the face of a new Latin Quarter. It might be hard to picture these new sites right now, especially if you have no idea what the old ones look like. If you are planning to stay in Paris over the next few years, these projects will bring about a new era to give some life back to our beautiful city, unify Parisians, and step up its architecture. All photography courtesy of "Reinventer Paris".